Hong Kong’s first-ever cruise and yachting event, International Cruise and Yachting Festival (Hong Kong) 2018, has added the China Merchants Wharf in the Western and the Hong Kong Maritime Museum in the Central, to become its venues for the upcoming November Event. 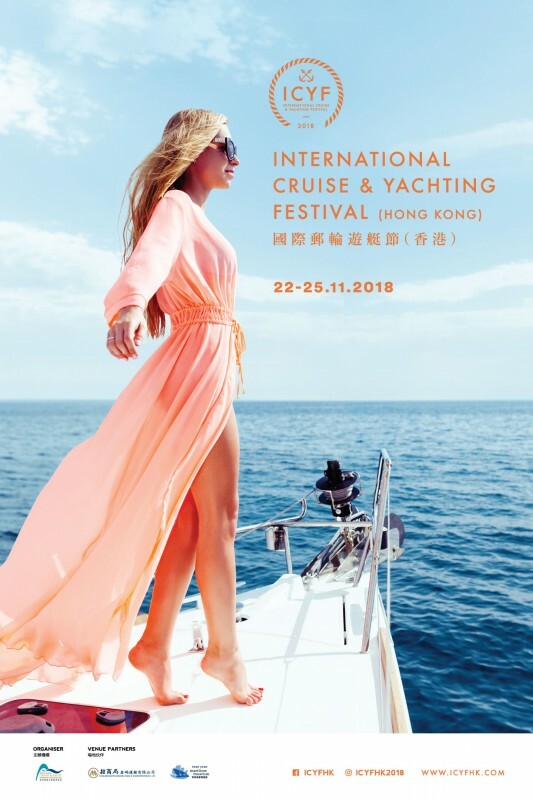 The Festival (ICYF), scheduled to be held from November 22 to 25, will bring together global cruise and yacht brands and boats in a mega event that will include an interesting activity program that features Cruising and Yachting, Maritime Lifestyle, Marine and Leisure Tourism, as well as Education and Employment. With the aim of promoting public understanding of Hong Kong’s waters and the sustainable development of the industry in the south China region, a series of informative and fun-filled activities will be arranged, ranging from exhibitions, forums, conferences to maritime-themed activities. As the first mega event to be held in Hong Kong’s city centre, the four-day Festival will highlight the beauties of the iconic Victoria Harbour with a multi-perspective presentation of maritime activities on both sides of the harbour, including the Kai Tak Cruise Terminal, the China Merchants Wharf in Western and the Hong Kong Maritime Museum (Central Ferry Piers). The Event is organised by the Hong Kong Cruise & Yacht Industry Association (HKCYIA), with the support of the China Cruise & Yacht Industry Association (CCYIA) and the China Merchants Group (CMG). The CCYIA has been a long-time partner of the China Communications and Transportation Association (CCTA) in advancing the development of the cruise and yacht industry and helping global brands to enter the China and Hong Kong markets. The CMG, which operates 53 ports in 20 countries and districts, is one of China’s leading maritime services group and is listed in the Fortune Global 500 list. With the support of the CCYIA and CMG, the Festival is expected to gain the support of the maritime services industry by providing a platform for sustainable growth and business development. This will also be in line with the development of the Guangdong-Hong Kong-Macao Greater Bay Area Project which is designed to explore and develop the enormous market opportunities arising from the increasing links between China and Hong Kong with the global maritime industry. The additional venues will provide the much-needed space to enable participants can showcase their products and services in convenient and natural settings along the harbourfront, she said. To promote Hong Kong’s natural coastal setting and the scenic beauties of its many islands, the Festival is also aimed at promoting Hong Kong as a preferred destination for Island Tourism in southern China. During the Festival, the organiser has plans to provide shuttle ferries to provide visitors with a direct encounter with the pleasures at sea. For more festival details, please visit the website: www.ICYFHK.com.